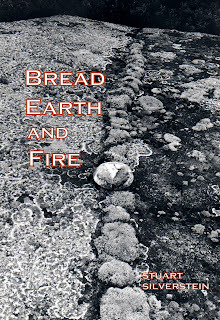 The baking blogosphere is packed with earth ovens, ancient and new, found all over the world. They are a reminder for those of us with electric ovens stuck in the wall that bread making is an ancient craft practised for centuries if not millenia. I wish we had made these at school, maybe some enterprising teachers make them now. I came across a guy the other day who had taken a small group of children out to the woods for a picnic. He was engrossed in firing a tiny home made oven made out of an old thermos flask on which he was cooking hot dogs for them, fuelled by twigs and leaf litter. They were having such a good time! This entry was posted in Blogging and tagged breadhunter, earth oven, Stuart Silverstein, wood fired oven on 30/04/2010 by Joanna. There is definitely something within us I think that likes to cook outside – just think how popular bbqs and bonfires are. I used to be so excited as a child when I got a potato to eat from the Bonfire Night fire. And I so enjoyed our pizzas baked in an outdoor homemade oven the other week. Now I’ve had a look at some of the pictures on the Breadhunter’s blog, I see my friend is by no means alone. Do you think you might build one? I would love to do that :) Maybe one day, Choclette…. I go through phases like this, until I remember how much work is involved with firing up a clay oven! They do look so lovely, and the bread gets the most wonderful flavour, but I also like to bake only three or four loaves at a time, so it wouldn’t be very fuel efficient. Celia, jinx! I was just reading in Flatbreads and Flavours by Jeffrey Alford and Naomi Duguid about Moroccan communal bread baking! I dream of a wood fired earth oven as well. There are so many different types that look so appealing. I like Celia’s idea of a communal one as well. Although if I had one, maybe I would invite all bready friends over and we could have a day of cooking from it. Ahhh… the dreams are endless. I have another dream about turning the garage into a communal micro bakery…but I would need help! I love all of the breads from various kinds of oven in the blog! Never imagine a bread from “stove pipe oven” or “soap stone oven” but that’s how bread should be! Original, down-to-earth and lively.